Red Rock Research is headquartered in beautiful Salt Lake City, Utah--an area sometimes called the Silicon Mountains, or Silicon Slopes. Utah has a thriving high-tech industry supplemented by a highly-educated, innovative workforce. As a product of that community, Red Rock Research offers software development best practices training and consulting services enabling our clients to deliver highly-valued software on-time and within budget. 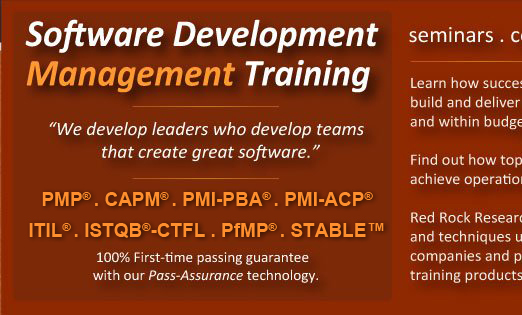 We study techniques used by successful software companies and package them into repeatable training products for our customers. Although our training venues span the globe, we invite you to attend a training class in Utah. Utah is blessed with unique natural beauty boasting 5 national parks and 12 national monuments. Red Rock coaches are available to help develop you into the leader that takes your team to the next level and beyond. 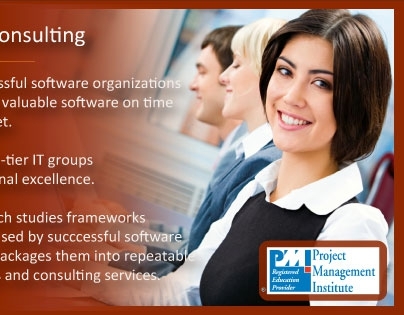 Our coaches are John C. Maxwell certified leadership trainers, coaches, and speakers, and possess a solid background in software development best practices and leadership fundamentals.